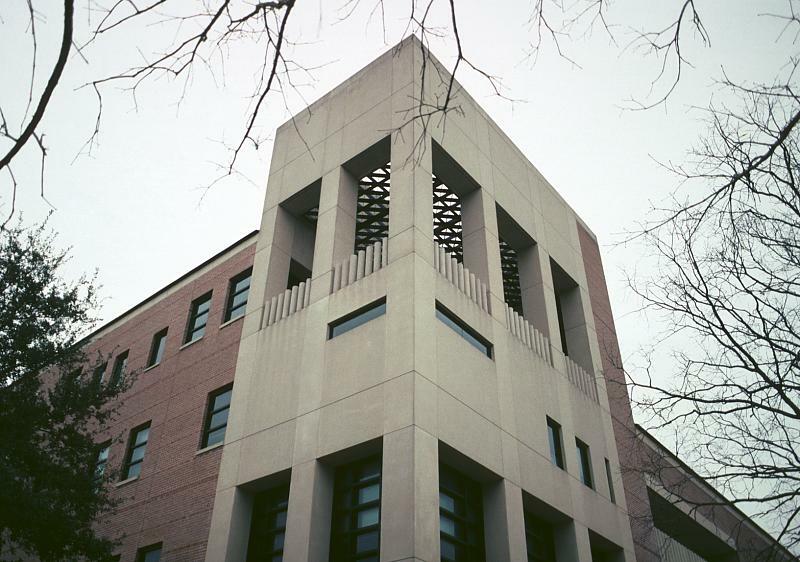 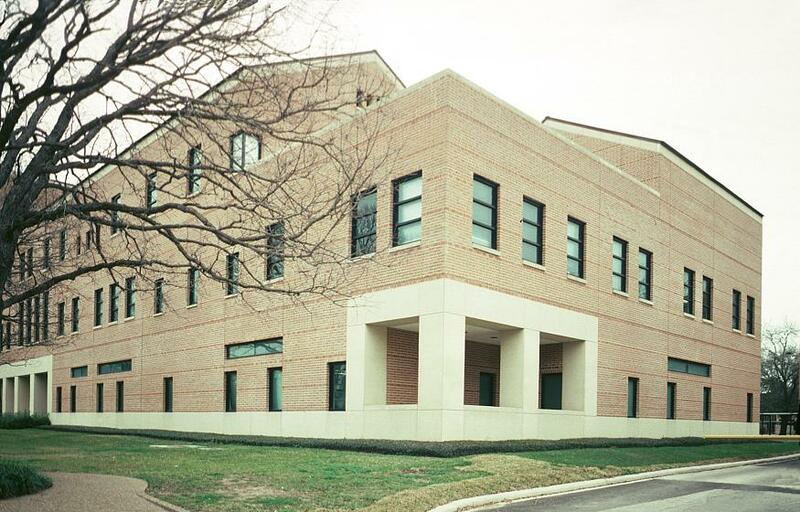 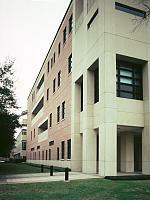 This building, at the northwestern corner of the Court of Science, houses the Center for Nanoscale Science and Technology. 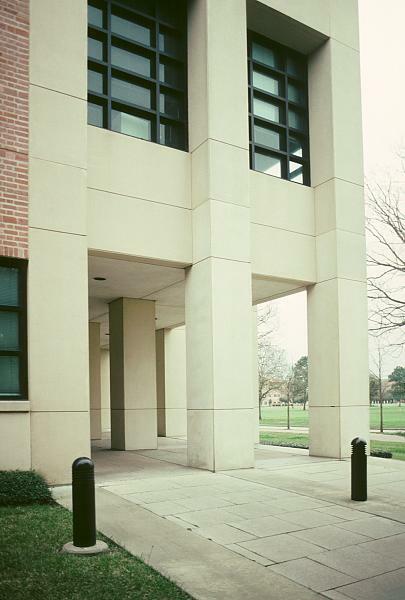 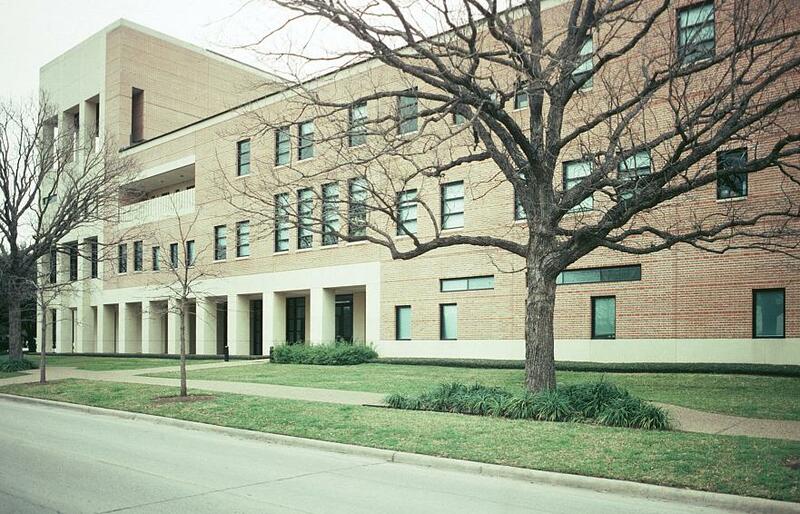 This northwest location at the edge of campus is punctuated by a five story tower at the northwest corner. 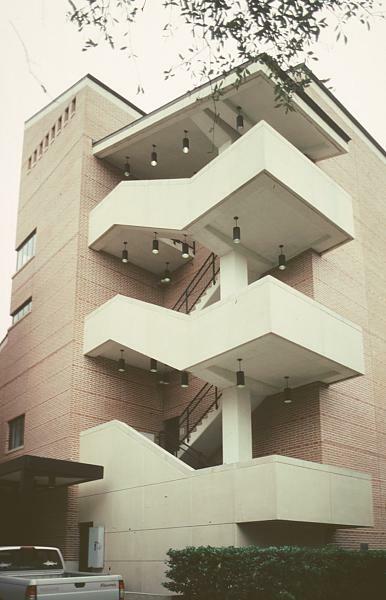 The balconies have stone-cast cylinders, lined up closely as "modern" balustrades. 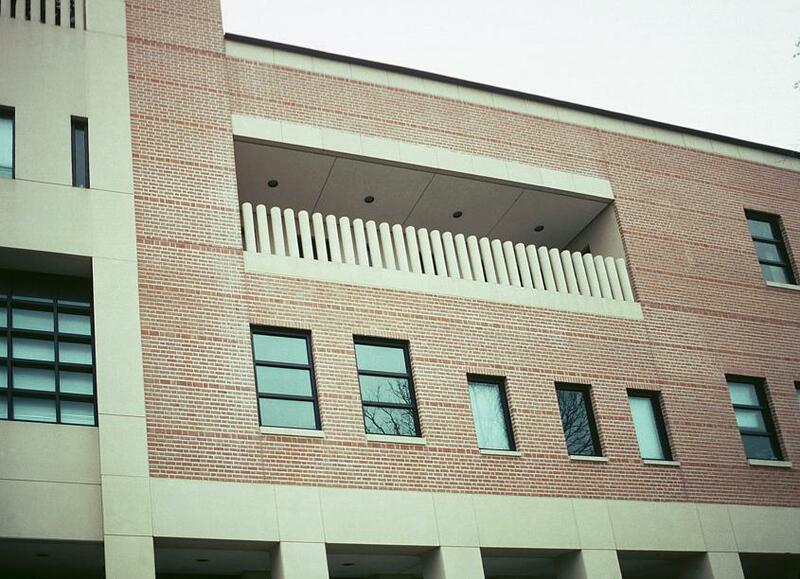 Windows are varied in terms of size and shape. 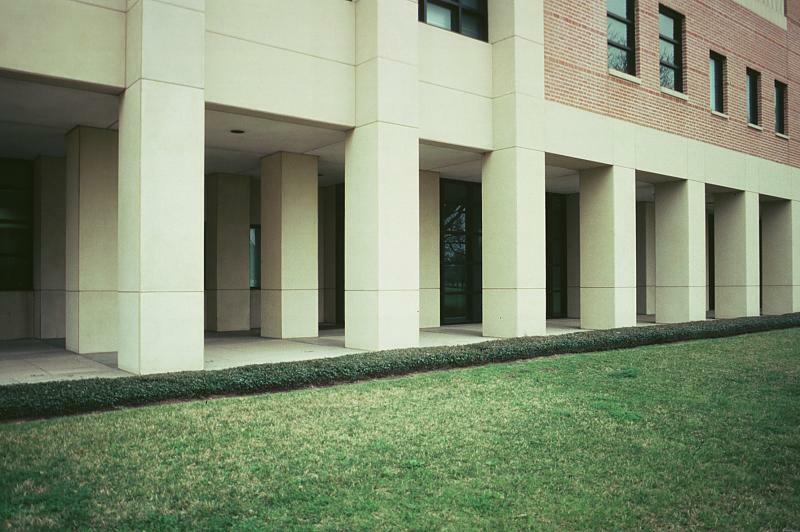 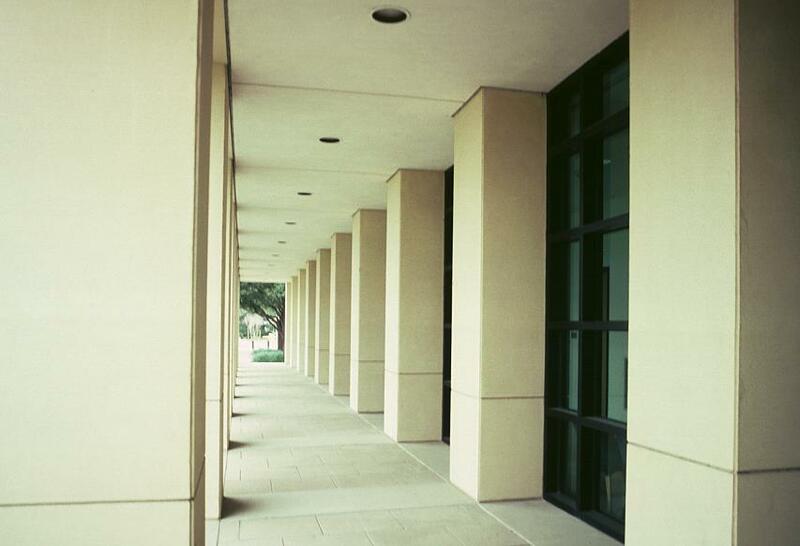 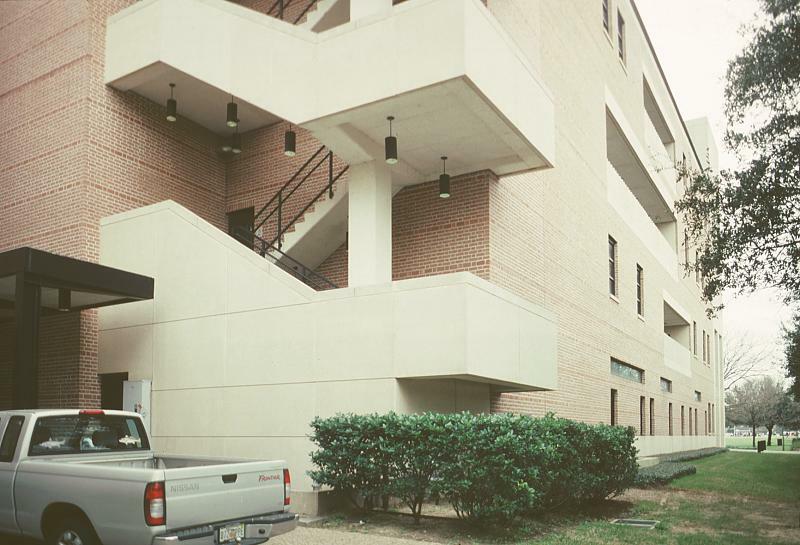 Go to the index of works on the Rice University campus.